This is a 1930’s ROTARY Super Sports 9k. 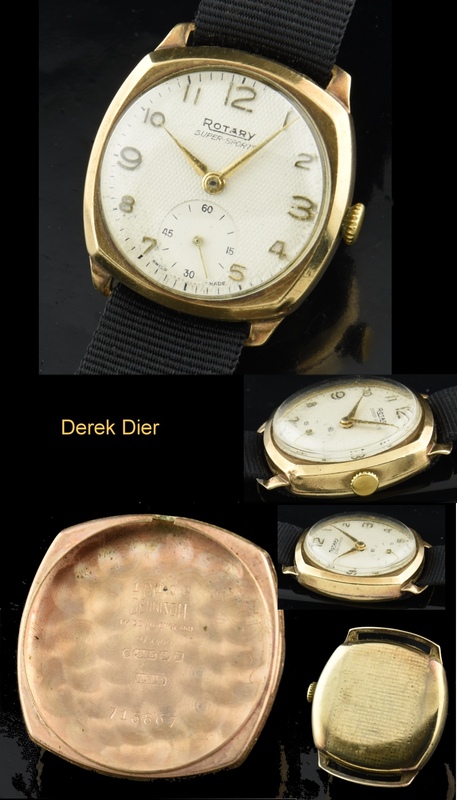 solid gold vintage watch having an original dial with exaggerated raised gold toned numerals against the white honeycomb dial. The cushion shaped solid gold case has fixed lugs and measures a smaller sized 29mm. The manual winding movement was just cleaned and is accurate. This is a men’s watch, but would look great on a woman due to its smaller size. 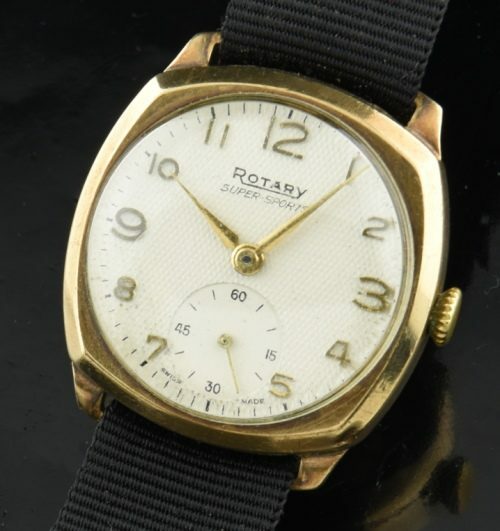 It is interesting to find such an early and great looking “sporting” watch.